Hey guys, How are you doing? If you are following me on Instagram, you must be knowing that I was MIA for a while. Finally got some time to post a look which I shot long ago. So from the title, you can guess that this look would include an oversized blazer. Well, lemme tell you, I was not a fan of oversized clothing, since I feel clothes with perfect fitting makes you look feminine and glamorous. I bought this blazer a year ago and it was lying in my wardrobe because I could not figure out with what should I style it with. I finally thought of giving it a try and experiment with this oversize blazer. A crop top with shorts, a bag, and footwear. Sounds so simple and casual right? I styled my look in a similar way because I am way too lazy and a sucker for comfortable clothes. 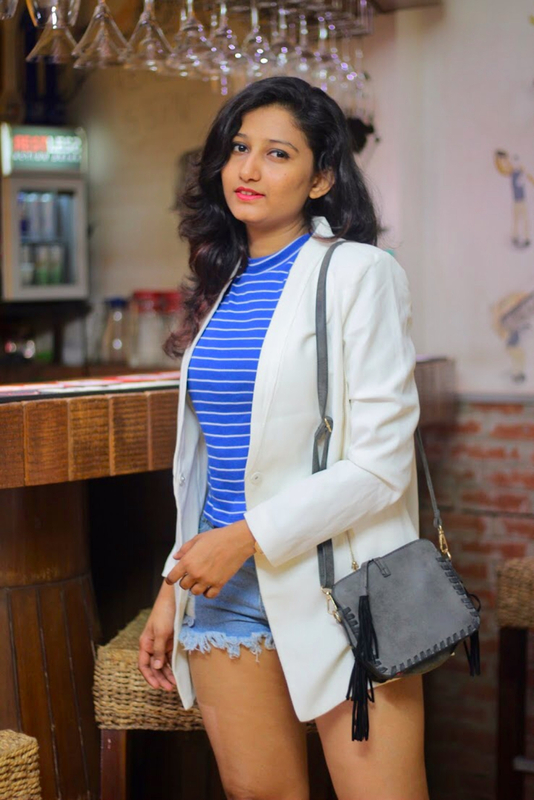 Without taking many efforts I paired a white oversized blazer with my Oh-so-casual outfit, and yes it made a difference. An oversized blazer is versatile and a laid-back piece you can have in your wardrobe. 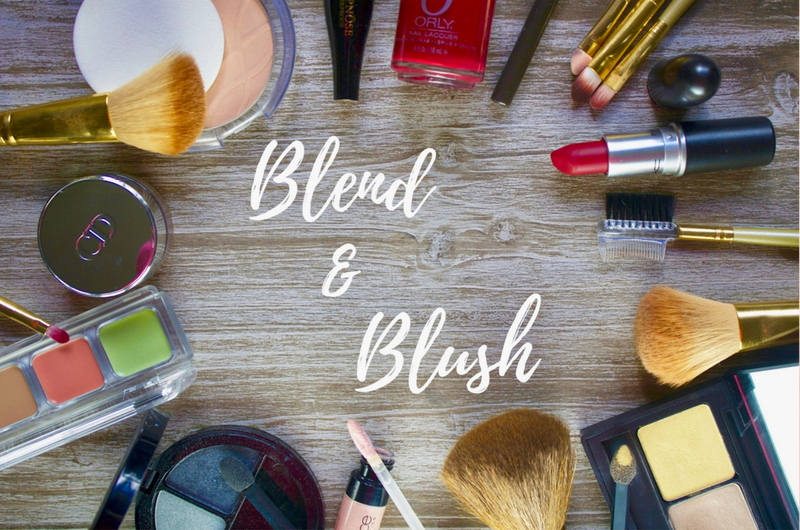 It allows you to dress it up for a day or night. 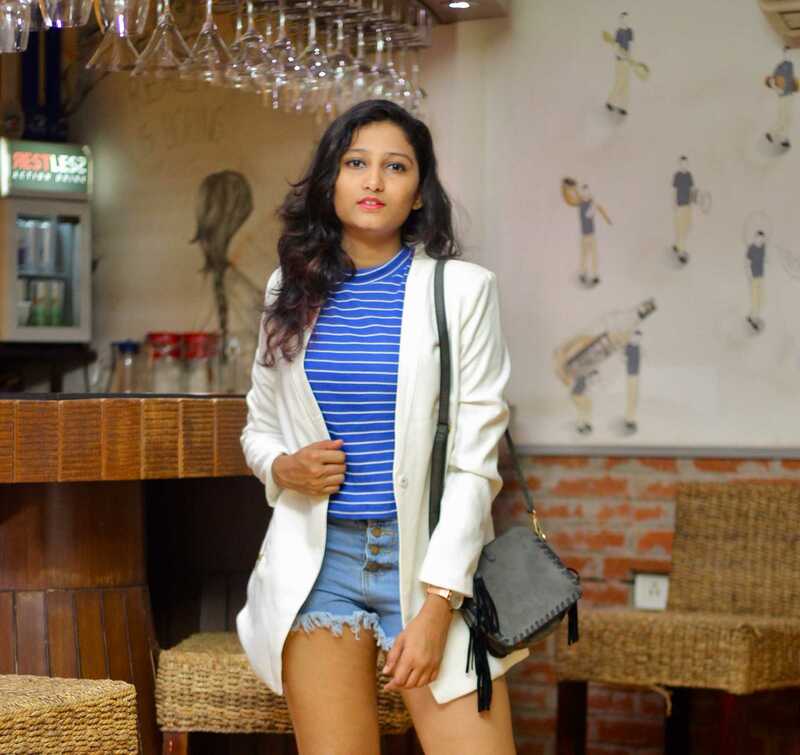 Be it an oversized, slouchy or structured, wearing a blazer is always considered trendy and chic. The best thing is that if you don't own one you can borrow men's blazer for that classy look. So next time when you want to go casual, don't forget to add an oversized blazer (if the weather allows you ) and rock it like a BOSS. I hope you love this look.